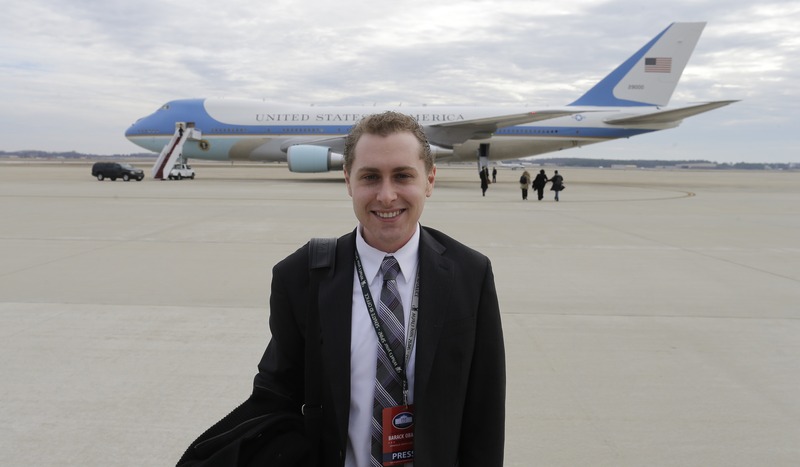 Most of the White House Press Corps had departed for the evening, but AP’s Josh Lederman was one of a few still at work inside at 8 p.m. on Sept. 19, 2014 when he heard a commotion outside the doors of the briefing room. Secret Service agents were shouting at people to get inside, saying the building was on lockdown. Lederman rushed to the press office, where officials were not yet aware that there had been an incident. A few seconds later, agents stormed in with weapons drawn and began evacuating White House staffers into the basement. Lederman was sent there too, along with the White House communications director and a senior adviser to President Barack Obama. After a few minutes of chaos, Lederman and the White House staffers were hurried out through a side door into the street, where the Secret Service had blocked off the perimeter of the campus. A uniformed agent rushing by said that someone had jumped the fence. Using his iPhone, Lederman wrote a quick, brief story that hit the AP wire at 8:17 p.m.
His story, written under deadline pressure on one of the most competitive beats in Washington, earned Lederman the prestigious Merriman Smith Memorial Award from the White House Correspondents’ Association (WHCA), which announced its annual honors on Tuesday. Lederman will accept his award on April 25, at the WHCA’s annual dinner in Washington. AP was also honored in 2013, when Chief White House Correspondent Julie Pace won the Merriman Smith award for an on-deadline story explaining Obama’s path to re-election. 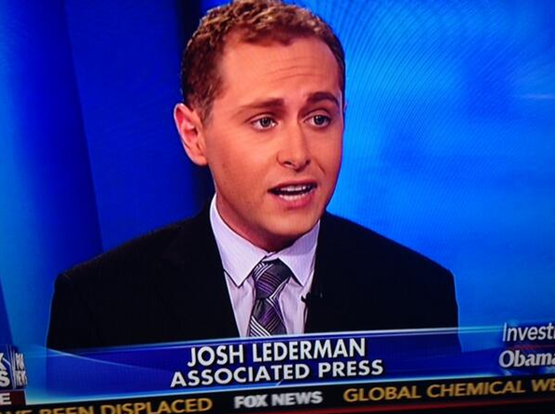 AP White House reporter Josh Lederman appears on Fox News. Lederman, 29, has been on the White House beat since 2013 and focuses on domestic and foreign policy, as well as electoral politics and Vice President Joe Biden. He previously reported for AP in Jerusalem and covered Gov. Chris Christie and state politics in New Jersey, and reported for The Hill newspaper. 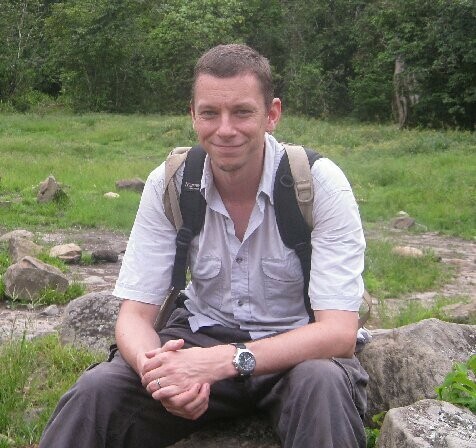 A native of Tucson, Arizona, Lederman has a master’s degree in journalism from Northwestern University and a bachelor’s degree in anthropology from The George Washington University. He makes regular appearances on national television and radio, including on NPR, Fox News, BBC America and other outlets. Led by Pace, AP’s White House team also includes Jim Kuhnhenn, Nedra Pickler and Darlene Superville. Krista Larson, West Africa bureau chief for The Associated Press, has won the Deborah Howell Award for Nondeadline Writing from the American Society of News Editors, which announced its annual honors for distinguished reporting and photography today. 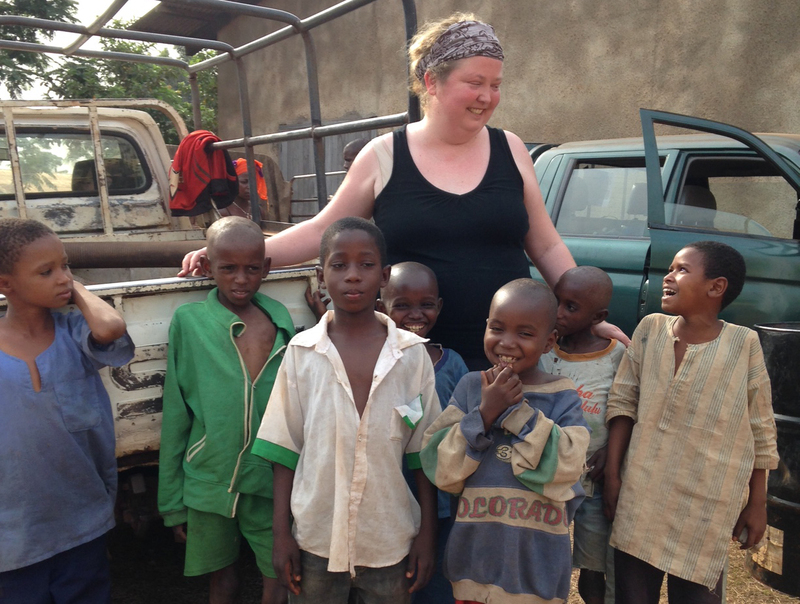 Larson, who put herself at risk to chronicle the lives of abandoned orphans, left on their own after family members died of Ebola, also covered the ethnic war in the Central African Republic. Larson, 36, began her AP career as an intern in the Paris bureau in 2001, and worked as a reporter for the news cooperative in Vermont and New Jersey. She was also an editor on the AP’s national and international desks in New York. She has been working in Africa since 2008, first as a supervisory editor at the AP’s Africa regional desk in Johannesburg. In 2012, she became a correspondent based in Dakar, Senegal, and was named bureau chief in 2014. A native of Cedar Rapids, Iowa, she graduated from Northwestern University and has a master’s degree in journalism from Northwestern. The International Women’s Media Foundation (IWMF) named freelance photographer Heidi Levine as the inaugural winner of the Anja Niedringhaus Courage in Photojournalism Award. 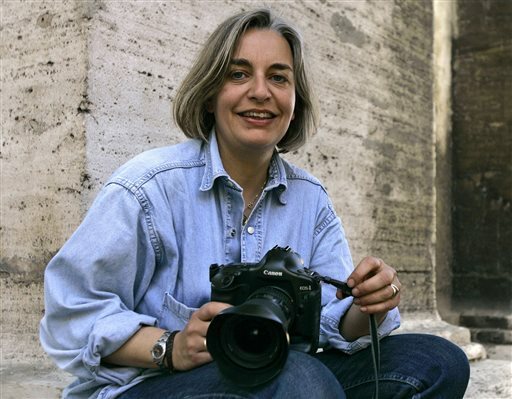 The award was created to honor the courage and dedication of Pulitzer Prize-winning AP photographer Anja Niedringhaus, who was killed in Afghanistan in April 2014. Levine won for her work in Gaza. “Her courage and commitment to the story in Gaza is unwavering. She documents tragic events under dire circumstances while displaying a depth of compassion for the people she encounters,” the jury said in its selection statement. The award will be presented to Levine at a ceremony June 25 in Berlin. The Howard G. Buffett Foundation provided funding for the $20,000 prize. AP photographer Rebecca Blackwell received an Honorable Mention for her coverage of the Central African Republic. The Society of Publishers in Asia named The Associated Press’ Bangkok Bureau Chief Todd Pitman Journalist of the Year, in recognition of his work over the past 12 months, including gripping stories from Typhoon Haiyan and moving coverage of the travails of the Rohingya in Myanmar. He accepted the award at the SOPA annual dinner June 11 in Hong Kong. Pitman’s work “represents the pinnacle of our profession and of our ambitions,” said Ted Anthony, AP’s news director in Asia, in a note to staff. Earlier this year Pitman also received the Joe and Laurie Dine Citation from the Overseas Press Club of America for his reporting on the massacre in Myanmar. Read more of his work. 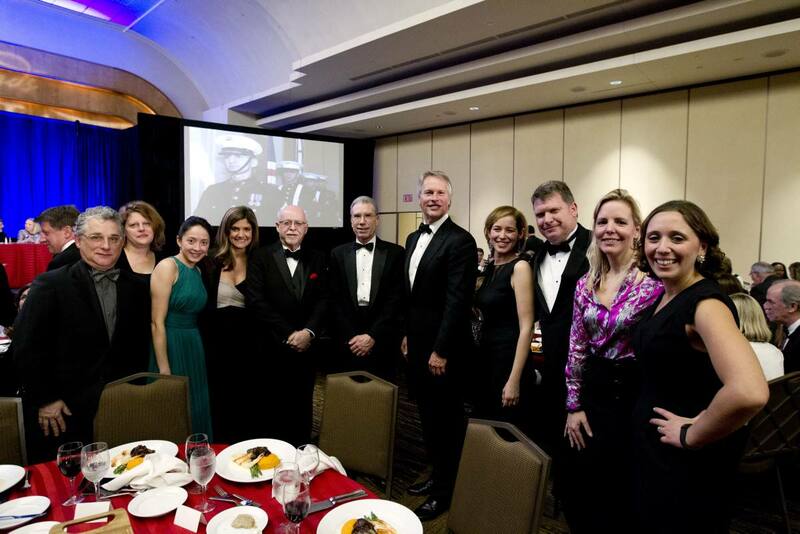 The Radio Television Digital News Foundation (RTDNF) honored The Associated Press for defending a robust free press with its challenge to the U.S. Department of Justice for secretly seizing AP phone records. 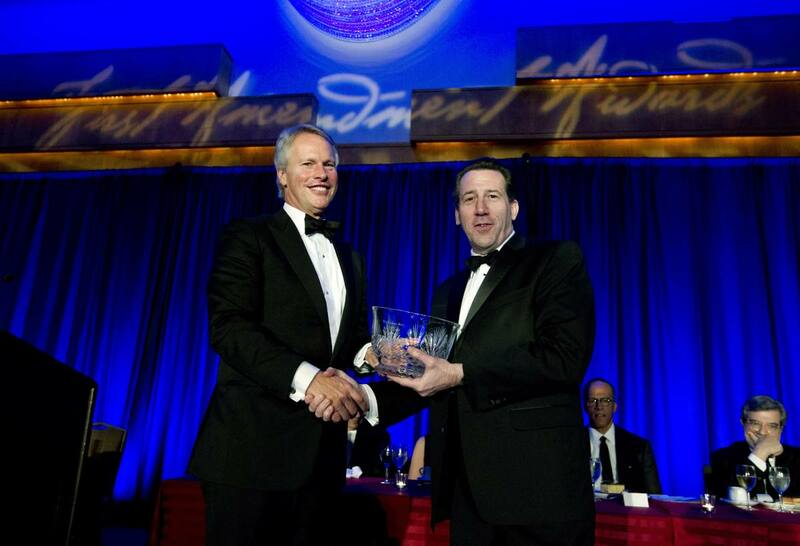 AP President and CEO Gary Pruitt, a First Amendment attorney, accepted the award at a black-tie event Wednesday evening in Washington emceed by Chris Wallace of Fox News. A video narrated by “Face the Nation” host Bob Schieffer recounted how AP’s industry leadership this past year resulted in greater protections for all journalists. “Because of the AP-DOJ dispute the rules protecting journalists from the reach of federal prosecutors improved swiftly and substantially,” Pruitt said. Watch a video of Pruitt’s remarks and read the AP news story. David Guttenfelder, AP’s chief photographer in Asia, can add TIME magazine’s Instagram Photographer of the Year to the myriad accolades he’s received throughout his career. 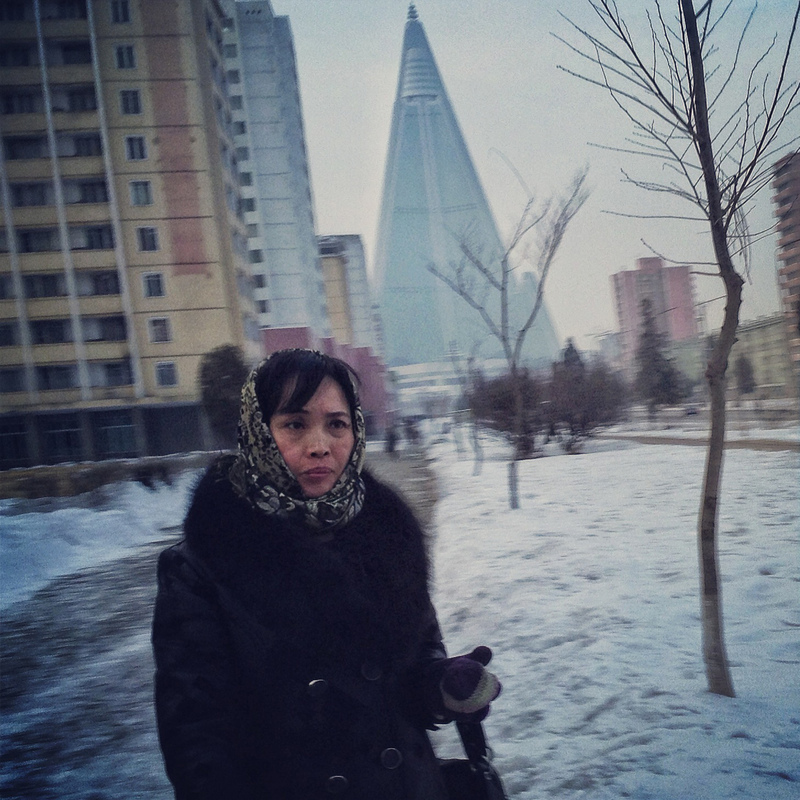 Guttenfelder’s images snapped on Instagram, including many taken during his visits to North Korea, generated particular fascination in 2013. In fact, Guttenfelder’ work on Instagram was featured by media outlets ranging from the CBS Evening News to National Geographic to Mashable to Wired. Guttenfelder’s images are available via AP Images. Follow him on Instagram. Calling his work “indispensable for news outlets the world over,” TIME magazine today named Associated Press photographer Muhammed Muheisen the best wire photographer of 2013. 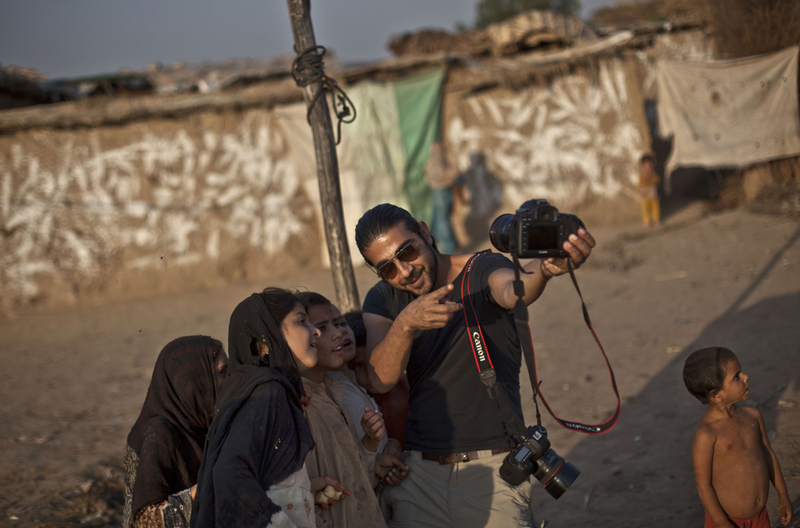 Muheisen, who is based in Islamabad, has captured images of both daily life and of conflict in countries throughout the region. He’s won numerous awards throughout his career and was part of the team that earned the 2013 Pulitzer Prize for breaking news photography documenting the civil war in Syria. “Viewers everywhere are richer for Muheisen’s compassion, his devotion to his craft and his unwavering, unblinking engagement with the lives and the issues around him,” TIME said. The magazine also noted that his pictures have appeared more often than those from any other photographer this year in its LightBox “Pictures of the Week” feature. TIME is not the only publication to highlight his tremendous work. New York Times “Lens” blog editor James Estrin recently tweeted that images by Muheisen had been featured 197 times. TIME also noted the “outstanding work over the past 12 months” by AP photographers David Guttenfelder and Jerome Delay. See a collection of Muheisen’s work on APImages.com, and watch him discuss his work in Syria. 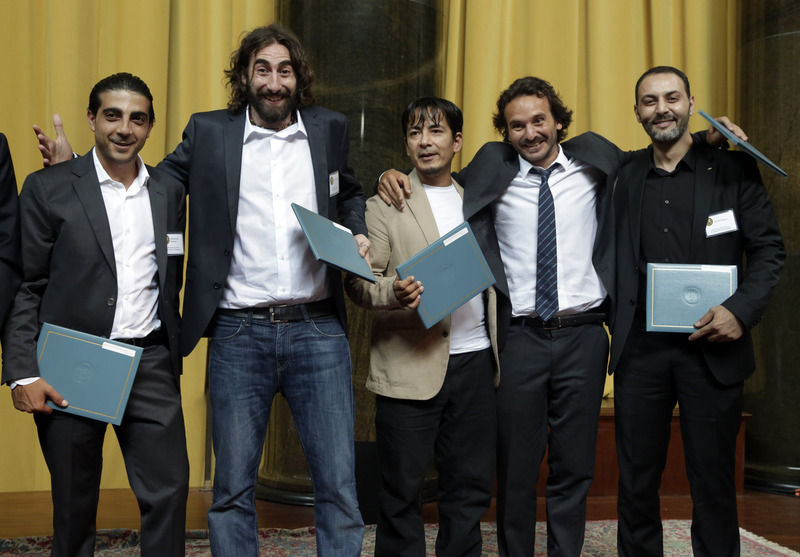 Five Associated Press journalists accepted the Pulitzer Prize for breaking news photography at an awards ceremony at New York’s Columbia University on May 30. It is the 51st Pulitzer for AP and the 31st for photography. Earlier this week the team reflected on the challenges and risks of documenting the civil war in Syria. See a slideshow of the winning images. The Associated Press journalists who won the Pulitzer Prize for breaking news photography come from vastly different backgrounds, but are united in their mission to document the civil war in Syria openly, fairly and accurately. 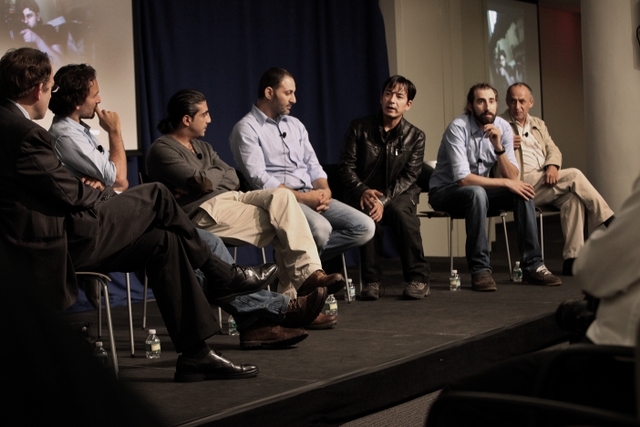 The team of Rodrigo Abd, Manu Brabo, Narciso Contreras, Khalil Hamra and Muhammed Muheisen spoke candidly about their experiences, living conditions and the backstory of some of their powerful images at a panel discussion for staff at AP headquarters in New York ahead of the Pulitzer ceremony on May 30. They were joined by Middle East Regional Photo Editor Manoocher Deghati and AP Vice President and Director of Photography Santiago Lyon. Associated Press journalists have won a number of prestigious awards for their work covering a variety of difficult stories spanning from Latin America to the Middle East. 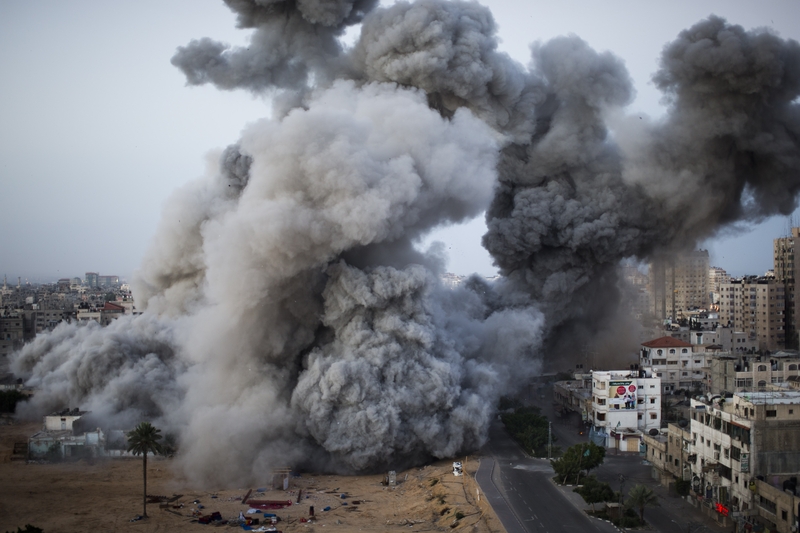 Based in Jerusalem, photographer Bernat Armangue won the John Faber Award for his package of images documenting the Gaza conflict. Photographer Oded Balilty, also based in Jerusalem, was recognized with the Feature Photography Award for his stunning images from an Orthodox wedding. Alberto Arce, AP’s correspondent in Honduras, won the Robert Spiers Benjamin Award for a series of stories looking at violence in that Central American country. 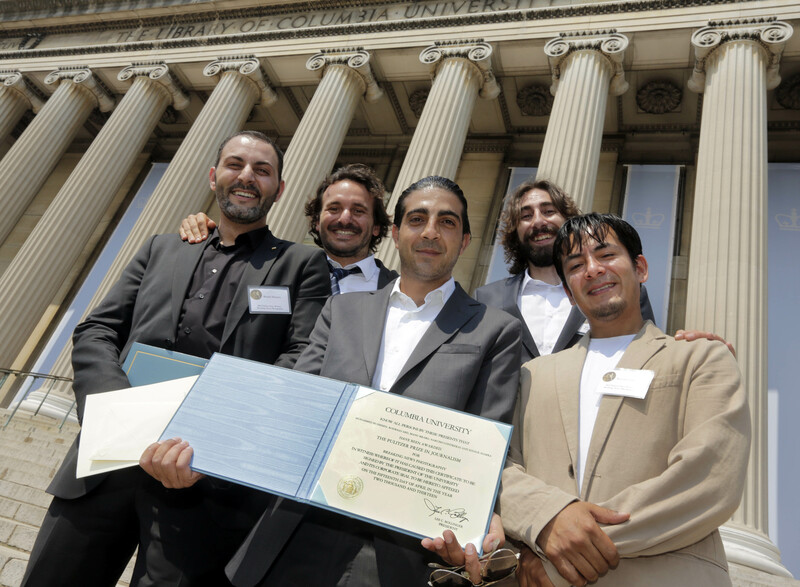 AP’s coverage of the civil war in Syria by Rodrigo Abd, Ahmed Bahaddou, Manu Brabo, Khalil Hamra, Hamza Hendawi, Ben Hubbard and Bela Szandelszky earned the Hal Boyle citation. Brabo also received the Robert Capa citation for a separate 12-picture package from Syria. See a full list of winners. Separately, Arce’s coverage from Honduras also won a 2012 Sigma Delta Chi Award for foreign correspondence from the Society of Professional Journalists. In addition, AP collected 16 awards in the National Press Photographers Association contest, more than any other news agency. First place winners include Armangue, Daniel Ochoa de Olza, Manas Paran, Mike Roemer, David J. Phillip, David Goldman and Vadim Ghirda. On April 15, AP won the 2013 Pulitzer Prize for breaking news photography for images from Syria. AP journalists have also been recognized by the National Headliner Awards, Pictures of the Year International, World Press Photo, China International Press Photo competition (CHIPP) and the White House News Photographers Association. All contents © copyright 2014 Associated Press. All rights reserved.